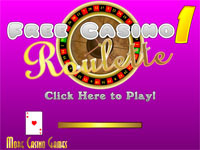 Roulette is a game of chance found in many casinos in the United States and Europe. 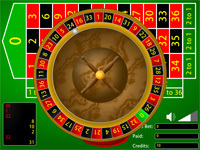 Originally invented in France, the roulette table has a wheel with 38 (or 37 in Europe) pockets on it that are numbered 0-36 ('00' included on American wheels). These pockets are colored red, black or green. 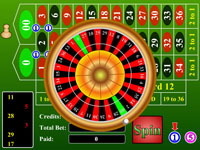 The player can make a bet on any individual number, groups of numbers, or can make an outside bet on groups of numbers or colors.